WASCA’s mission is to be a respected resource for educational opportunities, legislative advocacy, legal information and resources, and assistance with operational issues relevant to the ambulatory surgery industry and to promote independent providers in the health care delivery system. 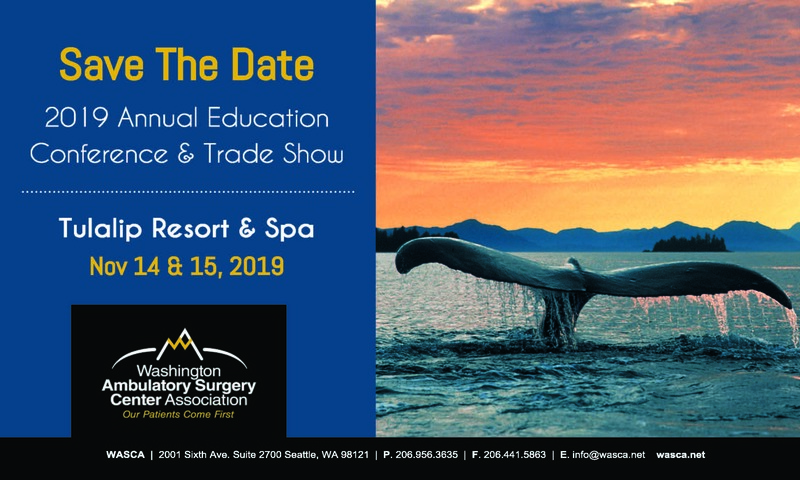 Founded in 1991, the Washington Ambulatory Surgery Center Association serves as the ambulatory surgery industry’s public policy advocate in the State of Washington. Ambulatory surgery centers – commonly referred to as “ASCs” – are healthcare facilities focused on providing same-day surgical care, including diagnostic and preventive procedures. ASCs provide a more convenient alternative to hospital-based outpatient departments and have a strong record of efficient, high-quality care and positive patient outcomes.